Robert Wicks was born in South Africa and started riding motorcycles at the age of 16. He’s always had a passion for adventure and has even climbed Africa's highest mountain, Mount Kilimanjaro. Robert is also an experienced paragliding pilot and has visited more than 50 countries, many of them on two wheels. Following military service and university he worked for South Africa's leading publishing company and was then appointed as the head of marketing communications for the Superbike World Championship in Rome and London. His career in motorsports has continued with Suzuki in MotoGP and with the Powerboat P1 World Championship, where he is currently the CEO, overseeing global expansion and the development of the world's largest one-design powerboat race series. He is the author of four successful adventure motorcycling books and also has a passion for aviation matters. In 2014 his Heathrow Manual was published and was a top seller in Amazon's aviation category for several months. Robert is a regular speaker at adventure motorcycling events and contributor to adventure motorcycling publications. Crash Bars How good are your crash bars? Your mounting points may be the deciding factor when buying crash bars but there is so much more to know. What should you be asking when buying a set of crash bars?What should a weld look like? Should a tube be round or flat? On this episode, we talk to Jeremy LeBreton and Erik Seymour of Altrider in Seattle, WA and get the goods on crash bars. Motorcycle Messengers by Jeremy Kroeker, author of Through Dust and Darkness and Motorcycle Therapy, is publishing his third great read. It’s a collection of stories from over a dozen well known motorcycle riding writers, including Lois Pryce, Sam Manicom, Carla King and more. 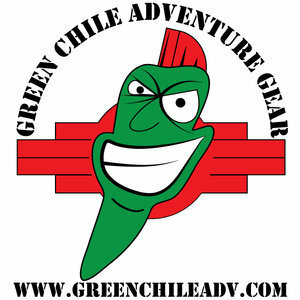 Find out more out Adventure Rider Radio’s sponsors here.